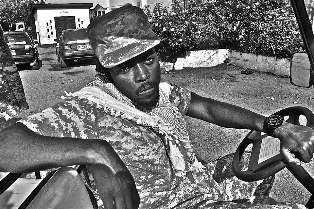 Kwaw Kesse a household name and a giant in the Ghana music industry is one of the various artistes who has massive recognition locally and in most parts of the world. He has been known for his creativity and open mindedness. The man insane “Abodam” as widely known by the young and old in the country is one of the few Artistes who has more awards to his credit; also he won the artiste of the year in 2008 and other four awards to that. The CEO of mad time entertainment is known to have lots of videos to his songs and some of these videos are sometimes “Cheap”. A cheap video I would say is the one with poor vision, poor lighting, poor picture and poor colour blending. The controversial musician, as regarded by most Ghanaians has few videos of good quality but the “Cheap” ones, I would say outweighs them. A couple of his videos I can back as evidence include: Fl3fl3, no more, love soldier and let me do my thing which even got him to bring two (2) videos out but all were not up to standard because a song of that sort deserved a better visual than the ones delivered. Me wo dollar, his current video featuring E.L is no different. Most musicians of his caliber, (not to mention names) known in and outside Ghana are making quality videos which intend get nominated for international video awards (Channel O) not because they have the best songs but quality videos. The man Insane “Abodam” can be testified to be a man of just and I can boldly back this with his reactions at the just ended Vodafone Icons Reality Show (street edition). All I’m trying to insinuate here is that, His Just, Insane and Unique attitude should reflect in his music videos. An artiste of his caliber should deliver something better than this. I hope after reading this article, a little bit of change might be seen in his next videos.